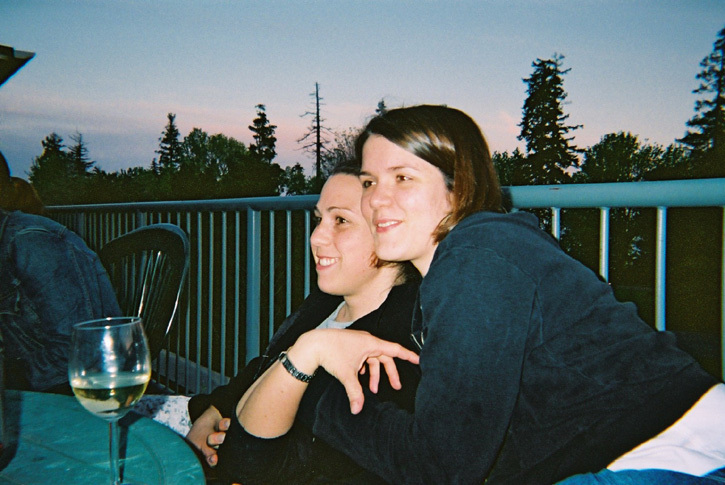 In this photo, you can see the trees behind Rhonda and Kristina. The patio is pretty high up. If those trees were gone, some how cut down, we would be able to see the ocean. Oh well, what can you do?